Graduation – Congratulations to the Class of 2018! 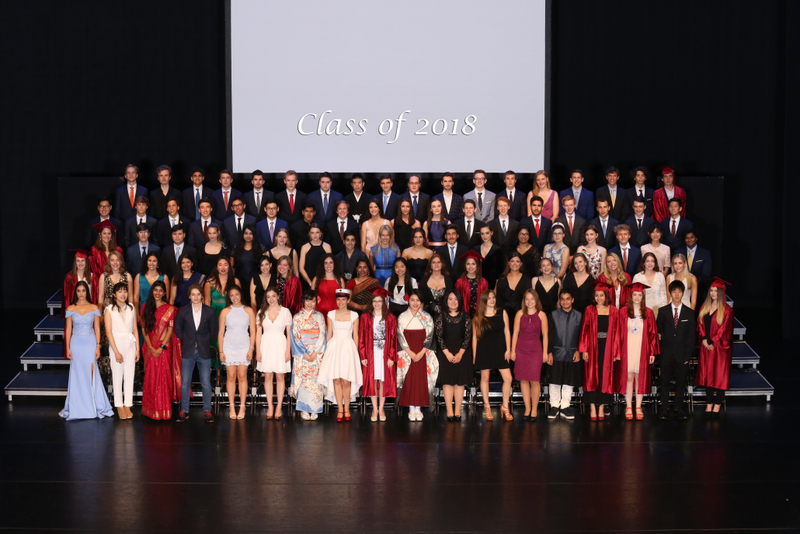 On Saturday, 2 June, ISA grade 12 students, along with their families and ISA staff, came together in a moving graduation ceremony at Amstelveen’s Schouwberg Theatre to celebrate the culmination of their hard work and successes during their time at ISA . Due to increasing class sizes, this year marked the first time since 1996, when ISA moved to its current campus, that graduation was not held on the campus. The ISA Leadership Award is voted on each year by ISA faculty and is given to a male and female student. This year, the award was given to Evie Portier and Paul Keen, for their efforts as shining examples of leadership at ISA. In recognition of his commendable effort and commitment to the service of others, Paul Keen was also awarded the CAS (Creativity, Activity, Service) award. The ECIS Award for International Understanding is presented to a student who has represented his or her country well, can speak at least two languages. Chhavi Nashier received the award for her positive contribution to the spirit of international understanding at ISA. The ISA Award was presented to Sofia Romansky for her efforts in bringing a positive attitude to education at ISA across a range of subject areas, for respecting social and cultural differences at ISA and for upholding the high ethical and moral standards that ISA aims to inspire in its students. In recognition of their prestigious talent in the sporting arena for ISA, Noa Pijl and Wade Cyr were presented with the Simon Schilp Athletic Award. The Peggy Brannigan Award for Environmental Services was awarded to Ze (David) Yao for his efforts to protect the environment and his actions as a committed role model for all students at ISA in this area.